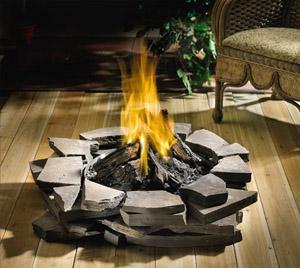 The Patioflame "campfire style" burner and log set brings easy-to-use visual warmth and radiant warmth to the outdoor setting. It easily sets on your patio or wooden deck surface. You supply your own rocks to match your decor. 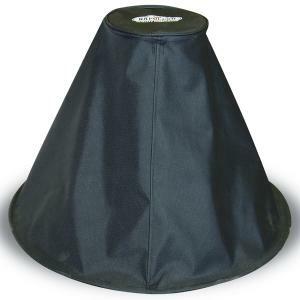 It is totally weather resistant if the cover is used. The Patioflame produces 60,000 BTUs. 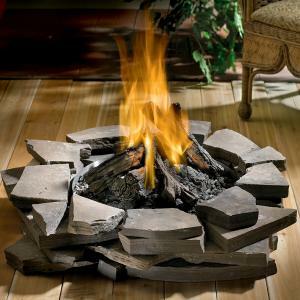 The container is stainless steel, and the gas log set is a specially designed, five-piece patented "Glocast" log set with embers. The unit has a 5-year limited warranty.